Shanghai seven trust is fence products manufacturer, engaged in international trade industry for decades, our company customers more than 100 different countries, we sale products have the advantages of high quality and low price,our products not only have pvc fence, wood plastic composite fence , as well as wood plastic composite flooring, wall panels, pergola, flower boxes, etc., is a production of green, environmentally friendly, low-carbon products company . PVC lawn fence material is one of plastic decorative materials, is PolyVinyl Chloride material abbreviation , PVC extremely stable; not easy to be acid, alkali corrosion; and heat resistance , PVC can flame retardant (flame retardant is more than 40 ), high chemical resistance , mechanical strength and good electrical insulation advantages. 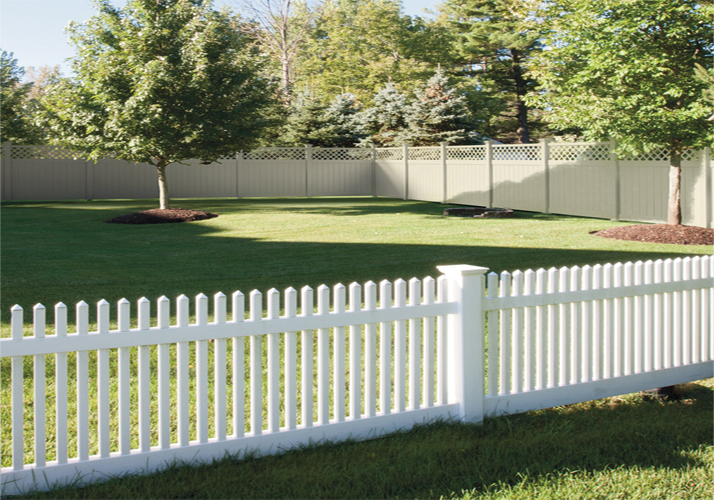 pvc lawn fence main raw material is polyvinyl chloride , adding an appropriate amount of anti-aging agent , then mixing, rolling, vacuum forming and other processes , product easy install and clean . 1. High-strength quality: green lawn parterre fence lining the lumen with galvanized steel reinforced with sufficient strength and impact resistance, surface smooth, delicate touch, bright colors, high strength and good toughness. 2. Beautiful appearance: Green lawn parterre with a white fence and a variety of other colors, bright colors, smooth surface. It itself is a most attractive decorative fence. 3. Long life: use at -50 ℃ to 70 ℃ does not fade, corrosion resistance, high strength, durability, aging test up to 20 years. 4. Installation is simple: with plug-in installation, simple and efficient, stable fixation. At last , as pvc lawn fence manufacturer we supply product sample and best price , if you interest in it or have related problems please contact with us directly .